"Stephen Maguire was back to somewhere near his occasionally world-beating best last term and has much incentive to earn, sitting one place outside the top-16." World champion Mark Williams heads the field for the fifth staging of the Riga Masters - now established as the opening world ranking event on the calendar. 12 months ago Ryan Day won a long overdue first ranking title here and similar types - winless or outside the top-16 - have good reason to view this as a golden opportunity, with the favourites lacking competitive match practice. In some cases at least, that inevitable early season uncertainty is factored into the odds. 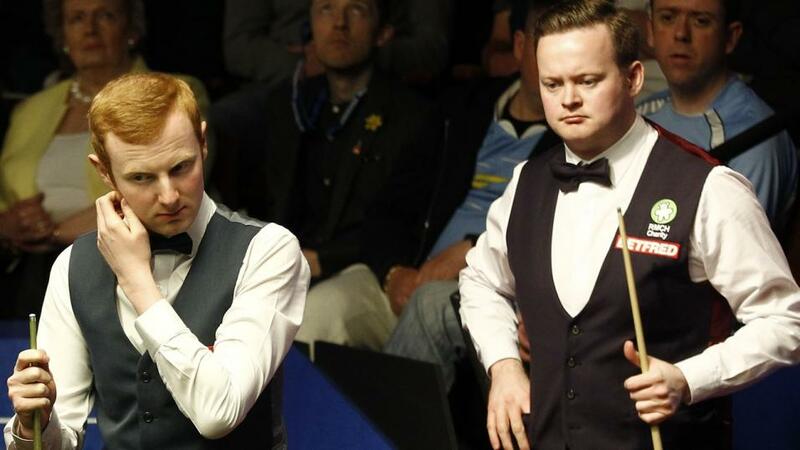 Shaun Murphy is a class apart from anyone in this top section, yet up to twice the odds he might be on other occasions. The Magician reached five finals last term, including a major and, perhaps significantly, two during August. Arguably only Williams and Ronnie O'Sullivan enjoyed better seasons. Sure there are potential pitfalls. Mei Xiwen beat him recently, as did Jamie Jones at the World Championship. Nevertheless, Murphy would be heavy odds-on against either and it is easy to envisage a scenario where he becomes tournament favourite after easing to the semis. Jones is favourite in the other mini-section but the Welshman has never been reliable or consistent, so preference is for an outsider on my radar this season. Sam Craigie impressed a few times against decent opponents last term and is quite efficient against players of a similar statue. He'll go on a run somewhere and Murphy is the only top-16 player blocking his route to these semis. This is by far the most competitive section. One eighth of the draw involves Mark Allen, Barry Hawkins, Ryan Day, Ali Carter and Ricky Walden. Whilst all are realistic title contenders, particularly the first three, I would rather let them spend energy sorting themselves out and focus on the battle to face one of them in the quarter-finals. Neil Robertson is the only top-16 player in that eighth of the draw and very much the one to beat. The Aussie won this title two years ago and has every incentive to hit the ground running, having slipped down snooker's hierachy. He remained unreliable last term but he was in better spirits and on occasion reproduced the form that made him world number one not so long ago. The most interesting outsider here is Donaldson. A ranking semi-finalist in each of the past two seasons - going down 4-3 to Day in a classic at March's Gibraltar Open - Scott has much more potential than his world ranking of 58th. Still only 24, good progress is expected this term. In perhaps belated recognition of his achievements, Kyren Wilson is clear favourite to reach the semis from this draw. The 'Warrior' has been a good friend to this column in recent years, primarily because he was perennially under-rated. I fear in this instance, though, the reverse applies and too much emphasis placed on his run to the Crucible semis. Minor events over best-of-seven are an entirely different creature and I'd need to be very confident to take single figure odds about anyone at the last-64 stage. It is indeed hard to see Wilson not reaching the last-16 but either Liam Highfield or Michael Holt would be tricky at that stage before a likely tough quarter-final. The former is progressive and worth a small punt at big odds. In another very tight mini-section here, any one of Joe Perry, Robert Milkins, David Gilbert and Michael White could emerge in the last-16. At that stage, last year's runner-up Stephen Maguire is by far the likeliest opponent and the Scot would be favourite. He was back to somewhere near his occasionally world-beating best last term and has much incentive to earn, sitting one place outside the top-16. Speaking of dilemmas regarding short odds bets on hot players, at what price would Mark Williams represent value here? He thoroughly deserves favouritism after an amazing season, during which he rarely lost top form. However the 'Welsh Potting Machine' was never anywhere near a 5/1 chance at the last-64 stage and we can only guess how much practice he's been putting in since that memorable fortnight at Sheffield nearly three months ago. In truth, I expect Williams to dominate this section but the price makes no appeal. There are plenty of obstacles, including his next match against Ben Woollaston, who remarkably leads their head-to-head 4-1. Jack Lisowski would be very dangerous in the last-16. Instead, let's try a miracle bet in their eighth of the draw. We saw one Chinese youngster after another improve suddenly last term. One example was Lyu Haotian - an unconsiderable 1000/1 shot when reaching the Northern Ireland semis, yet widely regarded by the end of the season as one of the game's hottest prospects. Zhang Yong is 23 and, though nothing like the finished article, evidently has plenty of talent. We saw it in the one-frame Shootout and, more significantly, when reaching the Gibraltar quarters. There's another logjam of similar standard, minor contenders in the penultimate eighth. Any one of Luca Brecel, Xiao Guodong, Marco Fu, Mark Davis, Graeme Dott or Anthony McGill could emerge. The last-named gets the nod on the basis of a good early season profile. He's reached the quarters here for the last two years and followed up both times with runs to the final of the Indian Open - a not dissimilar lower grade ranking event.